On Twitter, one of Cult of Mac’s readers said calling the Kindle Fire competition to the iPad 2 was like calling a Kia competition to a Porsche. It’s an interesting analogy. True, the Kindle Fire’s hardware is inferior to the iPad 2’s in almost every way. It boasts an 800MHz dual-core processor to the iPad 2’s 1.2GHz A5 dual-core powerhouse. The screen is smaller than the iPad 2’s, though it has better pixel density. It only has 8GB of storage, it has no 3G, no GPS, no camera. It only registers two points of multitouch to the iPad 2’s eleven, for god’s sake. So the analogy seems to fit, right? Not so fast. Sure, Apple’s hardware is great, but Apple has proven that hardware is only as good as its software. That’s why Apple’s products are so magical: they are a seamless amalgam of excellence in software and hardware design, intertwined. It’s a philosophy towards design that Apple’s competitors have just never understood. And that’s why the Kindle Fire is going to be huge, the iPad’s first real competitor. The Kindle Fire is going to be a Kia that drives like a Porsche, and when Apple counters it — and I think they will — it’ll be going head-to-head with an iPad mini. Forget the specs of the Kindle Fire, because hardware specs are totally misleading. Look at the second-gen MacBook Air, on which I’m typing this editorial. If you look at the specs, it looks like an underpowered half-laptop: a tiny 11-inch display, 1.4GHz Intel Core 2 Duo processor, 2GB of RAM and 64GB of storage. Ridiculous. Yet I can say without hesitation that this laptop not only feels like the fastest computer I’ve ever owned because of the fusion of a solid state drive with Apple’s smart, fast OS X operating system, but I love it more than even a more fully formed computer like my 27-inch iMac. Why? The MacBook Air limits what it tries to do to what it can do excellently. It’s a machine that is light in every sense of the word, but its on-paper limitations are its greatest strengths. The MacBook Air has a mission statement, and its hardware was carefully chosen to fulfill it. So does the Kindle Fire. The Kindle Fire exists to allow you to seamlessly absorb and experience content from Amazon’s walled garden of music, books, magazines, video and apps. All of the hardware matters only so much as it allows you to do that, quickly and without interruption. Amazon started out with a mission to make a low-cost, entry-level tablet that felt as fast as an iPad and cost so little that even people who would balk at the iPad 2’s cheap $499 price could afford to buy one. And it looks, like all accounts, that they succeeded. First of all, one thing numerous hand-ons mention is that the Kindle Fire feels fast. Like “holy freaking cow” fast, despite that “dinky” 800MHz dual-core OMAP processor. Why? Because Amazon is pulling an Apple here. An 800MHz processor is fine if you have a tight control on your ecosystem and make custom software that can fully exploit the chip’s strengths, and that’s just what Amazon has done. They took an old version of Android (2.1), forked it, and then pruned out every string of code, every superfluous function, every driver for other pieces of hardware that was gunking it up, bloating it up, making it crawl. They then linked it intimately with their Cloud EC2 infrastructure, allowing the Kindle Fire to offload tasks it wasn’t quite beefy enough to handle to the cloud to save on processing power, storage and battery life. When Amazon was done, they had an operating system that does 95% of what people want their tablets to do, yet feels as fast as an iPad thanks to excellent software and cloud integration. That 95% number is important to remember, because it’s the key to not underestimating how big the Kindle Fire could be. Most of what people do on their tablets are browse, read, do light social networking, watch video and listen to music, and the Kindle Fire does all of these things almost as well as an iPad, yet at hundreds of dollars less. Don’t forget that the iPad 2’s $499 price is a big barrier to entry for the vast majority of consumers. In comparison, $199 for a device that feels as fast and can do 95% of what most iPad users use their tablets for is a huge, huge advantage. Amazon has played this just so smart. They’ve been respectful of Apple’s success with the iPad, and they have learned all the right lessons. Amazon has the only real competitor to Apple’s iTunes media ecosystem. It’s the only company out there who does most of what Apple does — video, music, books, magazines and apps. 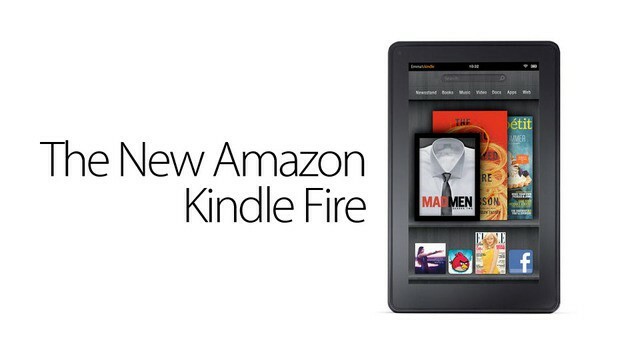 And just like the iPad is the optimal portal into iTunes, the Kindle Fire is the optimal portal into Amazon. But Amazon wasn’t stupid enough to try to compete with the iPad in the same consumer space, because they know they can’t: at $499 and above, Amazon can only be a copycat and also-ran. At $199, though, they’ve opened themselves up to millions upon millions of would-be tablet owners Apple isn’t reaching right now… and they’ve done so without compromising, as so many competitors have done, the soul of their device. The Kindle Fire isn’t an iPad killer by any means, but it doesn’t have to be. It has still made the iPad look expensive for the first time since it debuted. For the last two years, only Apple has been able to build a fast, capable sub-$500 tablet. Now the iPad suddenly looks expensive. It’s not perfect — the lack of 3G on a tablet that relies as heavily on the cloud as the Kindle Fire does is just a bizarre omission — but if you think mere specs are why the Kindle Fire will lose against iPad, think again. In a year, the Kindle Fire is going to be just as common a sight on subways and buses as the Kindle is now. I love my iPad 2, and I won’t part with it, but I’ve pre-ordered a Kindle Fire, because I think this is the only tablet out there that actually has a chance of challenging the iPad’s marketshare. And you know what else? I think the Kindle Fire is a template for what we’ll see next year: a $250 iPad mini, that leverages Apple’s iCloud, good software design and cheaper components to make buying a tablet as entry-level as picking up an iPod touch. The only reason Amazon was able to beat Apple to that goal was because their cloud infrastructure is already in place, while Apple’s still building out iCloud. Once that’s done, there’ll be no reason for Apple not to challenge the Kindle Fire in the same market space, with an entry-level iPad that does what the Kindle Fire does, but with all of the incredible advantage of Apple’s iTunes and App Store ecosystems. When that happens? It’ll be war on the streets. My money’s on Apple long term, but it’s exciting to see another company finally throw the first punch.